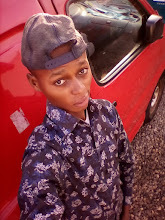 Hello guys you all welcome to another moment of free browsing! This time around, we'll be using a new app called Dent to top-up our MTN, Airtel, Glo or 9Mobile lines with unlimited data for free, irrespective of the network you're using. 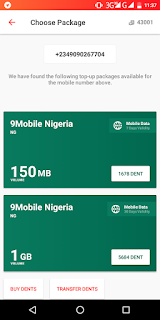 Before now, we've been using the likes of Jumia One, Opera News, TopUp Africa and some few other apps to enjoy free airtime and data, but I assure you this new one is 101% better. 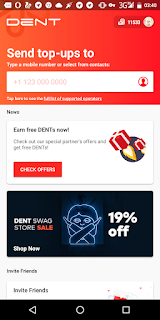 Dent helps you topup data for friends or family and also allow you earn free data of any network. You can buy “Dents” or refer friends to earn them for free, then you can redeem your Dents as data. Immediately you sign up, the app gives you 1673 dents which you can withdraw as data worth 150MB to any network. You can get more Dents by inviting your friends using your referral link, then convert it to more data. Firstly, Download Dent app here for Android devices. Now sign-up using your Facebook profile, Google profile or your email address. Once done, you will receive free 1673 Dents (150MB) on any network. Click on “Invite Now” to get your referral link and start sharing to get more dents. 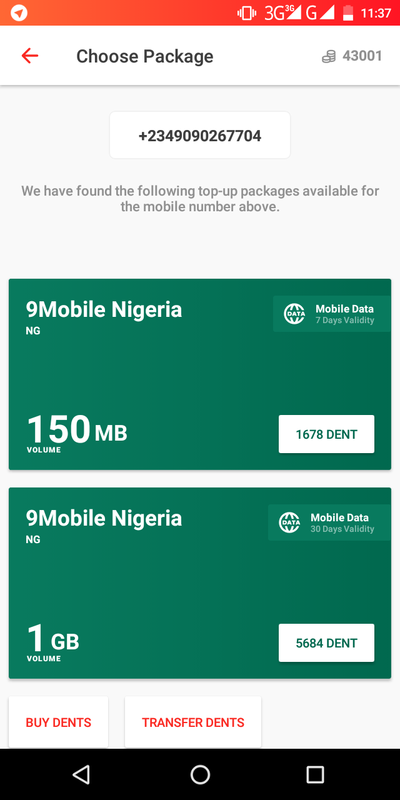 To redeem your Dents, simply type your phone number into the "Send Data To " box, then choose the data amount you want to redeem. The data will be sent instantly! What are you waiting for? Act fast, download the app and start getting unlimited data to browse and download on any network of your choice. Kindly share this post with friends and tell us how it went by leaving a comment below.